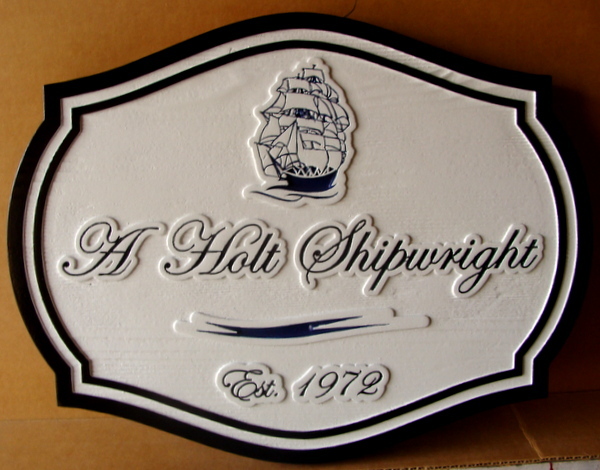 Above is a high density urethane sign made for the company of a ship builder (shipwright). The outline lettering, logo (Galleon Sailing Ship on the waves) and double borders are carved in 2.5-D (raised, flat relief). The sign, painted with long-lasting automotive-type enamels and clear-coated twice, is suitable for indoor or outdoor use.